Access to employment and an income compatible with the skills of each one, as well as the guarantee of non-social exclusion, depend strictly on the qualification of the people. This qualification is acquired at first at the school. Statistics show that the recipients of a higher education diploma are more likely to get a job, and a better job. The success of companies and countries depends on how they fit into globalisation. Employment and social welfare depend on that. Knowledge is at the heart of this process. Therefore, it is crucial for young people to study and choose the area of training that corresponds to their personal vocation and the effective needs of the labour market. 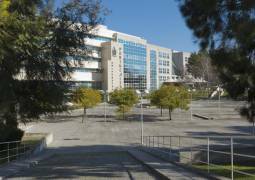 Applicants for higher education find quality teaching at Portucalense University Infante D. Henrique (UPT), which guarantees the qualifications that employers seek. The exponential growth of new students, and UPT as a whole, recorded in recent years speak for themselves. UPT also offers a friendly environment and has a vast and pleasant campus. Do not miss this opportunity. SIUPT is the students’ support platform used for academic management. It allows students to make enrolments and registrations, checking assessment guides, registering for exams, consultation to summaries and attendance data, consultation of detailed information of curricular units, checking timetables, making requests and submitting suggestions/complaints. It combines access to platforms (MOODLE, webmail, etc…) with several manuals that will assist you in your tasks that range from the setup of the wireless network to the use of the MOODLE platform, etc. Available at https:// siupt.upt.pt. 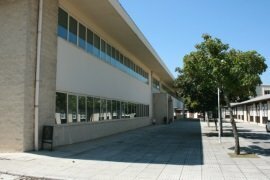 The Portucalense University General Library (BGUPT) offers comfortable spaces for you to study individually or in group, as well as access to a broad group of physical and digital resources. The students can also use other services such as home and interlibrary loan, reference service, research and information and scientific edition support. Know more at http://catalogobib.uportu.pt . 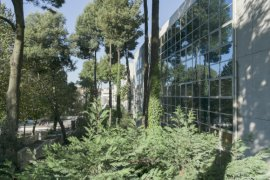 UPT has various other study spaces: forums on the 3rd and 4th floors, Paços Perdidos and rooms on the 4th floor (open 24h/day). Set up your devices for use of UPT wireless network. UPT wireless network integrates the Eduroam network and can be used by the entire UPT community. It allows UPT users when visiting Eduroam institutions, in Portugal or overseas, to access their wireless networks without any change in the configuration of their equipment. The VPN use allows access from outside the UPT to internal services of the University such as B-on and other databases of the Library. Access setup manuals at SIUPT in support -> manuals and procedures. Office 365: Access to online tools, including Microsoft Office, which can be installed in personal computers and other devices. Available at http://office365.upt.pt. After enrolment, students receive a student card which serves as an identification card (required for exams) and facilitates access to University services (access to parking lot, use of printers, with 5000 credits per year: B/W print = 10 credits and colour print = 50 credits). The card allows students to enjoy advantages and discounts out of the university (means of transportation, movie theatres, etc.). Get to know the University regulations: the Pedagogic, Disciplinary, Rights and Duties, Administrative Regulations, Regulatory Standards of your course are of paramount importance as well as the Code of Conduct of the Students. All regulations can be found at the Student/Standards and Regulations menu at www.upt.pt . Get to know the programs and systems/ assessment criteria of curricular units, checking the UC (curricular unit) sheet available at the SIUPT. Take part in mentoring programs (by fellow students) and tutoring programs (by professors) in order to be more easily integrated to university life and overcome any difficulties calmly. Get informed and take part in social responsibility activities contributing to a dynamic, responsible, fairer society and a sustainable environment. Get to know volunteer programs, at the Student Support Office. Demand quality: answer the inquiries sent by the Pedagogic Council and by the Quality and Assessment Office – your opinion is essential for UPT to improve continuously. If there is any problem or suggestion you want to submit, contact the Students’ Provider or submit the problem/suggestion through the SIUPT. Get yourself involved and take part in the management bodies of the University: Pedagogic Council, Educational Board of the Department and Course Committees. Foster your entrepreneurial spirit: the NET-UPT is an award that is aimed to create a network of companies established by UPT students and alumni and has the purpose of promoting the establishment of small or micro companies, providing them with support in their first two years. Get informed about the annual contest that awards the best ideas. AEUPT Portucalense University Student Association The primary purpose of the AE is to defend the interests of students, caring for their rights and for the most suitable educational policies. ELSA - European Law Students Association The European Law Students Association is the biggest law students’ association worldwide, with local and national centres situated in more than 40 countries, exceeding 28,000 associates in more than 214 colleges. Its mission is to promote and intensify the cooperation among Law students, lawyers, professionals in the educational field, the legal profession and academic research from different countries and legal systems. Students’ centres per course: They collaborate and implement several activities within the scope of the course. See the complete guide here.